There are no messages on GoatLadyFF's profile yet. 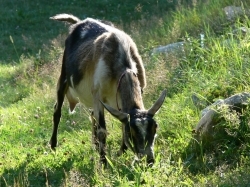 I have two male pygmy goats, Festus & Fern. They are 1 year old and live in my backyard and sometimes in my house when it's too cold. They follow me around like puppies and always hungry! !